During prolonged hunts, Branch chain amino acid levels can become quickly depleted and can’t be naturally replenished by the human body.Low levels of these amino acids may cause you to become lethargic or exhausted. That’s why it’s essential to use HUNT SMART before or during your hikes to help your body recover faster and help fight fatigue so you can hunt beyond your game. Each vitamin within the B complex is unique and performs a specific purpose to improve your body functions during prolonged hikes. Vitamins B1, 2, 3 and biotin serve a part in energy production. Vitamin B6 is required for amino acid metabolism. vitamin B12 and folic acid facilitate the cell division process. As you can see the vitamin B complex plays an important role in energy production. Without these vitamins we can't extract energy from food. as a hunter you always want to be on top of your game, help minimise exhaustion and maximise your hunting and hiking experience. Performance and endurance capacity is impaired when an individual is dehydrated. Dehydration refers to a state where there is an inadequate amount of fluid and electrolyte balance in the body. 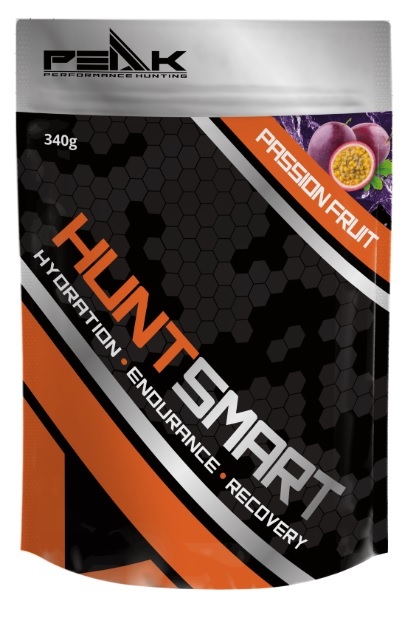 Taking HUNT SMART may help maintain hydration during long hunts. It is extremely important to retain hydration levels to ensure you are hunting and hiking at your peak performance. Glycogen is one of the bodies primary sources of energy. Depletion of muscle glycogen is strongly associated with a degree of fatigue during endurance exercise, such as hiking and prolonged hunting missions. 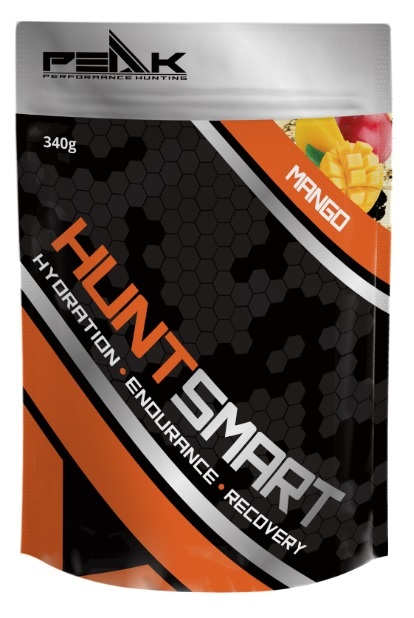 HUNT SMART contains dextrose which is a carbohydrate that can be efficiently utilised by the body for energy. L-arginine is an amino acid that helps the body produce nitrous oxide. This gas is responsible for lowering blood pressure, dilating blood vessels and improving circulation, allowing the body to do the same amount of activity while using less oxygen. L-arginine also decreases lactic acid and ammonia in the muscles, both of which play a part in muscle fatigue and soreness, making this amino acid a vital addition to our hunt smart formula.